agency for the media industry. 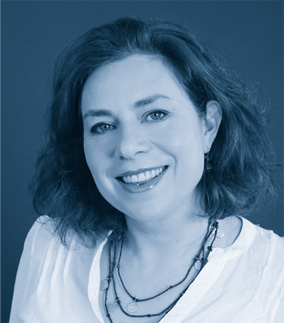 Penny Lawson founded Folio in 2005 after 13 years in publishing. In her previous career she worked as a chief sub and deputy editor on some of the UK’s best-known consumer and client magazines, so she knows the industry first-hand. She has matched hundreds of candidates to exciting opportunities, whether that be within digital, social, content marketing, consumer, b2b, communications or PR. The fact that many of these candidates are now clients is testament to Folio’s success. Folio prides itself on its honest, friendly approach and the business is built on integrity and reliability. Excellent recruitment isn’t about plugging gaps – it’s sharing the dream, giving intelligent advice and supporting you throughout the journey. Folio specialises in jobs in content creation. From editorial assistant to editorial director, or social media exec to senior strategist, we can help find the right role for you. The form below gives you the chance to let us know your ideal job and salary expectations. We review every application and you will always hear back. If we think we can help, we’d like to meet to talk in more detail about your career moves and aspirations. We get to know the people we work with – and that is what makes Folio special. Deciding whether to go freelance can be very daunting – sole trader versus limited company, what expenses are tax deductible, should you be VAT registered, etc. And when you are successfully working freelance, the chances are you’ll need advice from time to time. These practical guides offer help on how to set up, expenses, personal indemnity insurance, self-assessment and a host of other important issues. Folio is a niche, specialist agency focussing on content creation. We work with content marketing agencies, ad agencies, global news publishers, consumer brands, PR agencies, social and video specialists, independent publishers and any business in need of engaging content. Penny spent 13 years in publishing, so genuinely gets what you need. She loves combining the worlds of publishing and recruitment and has one simple aim – to truly match the needs of both clients and candidates. Most of our clients come to us by referral (thank you) and they keep coming back. We interview all candidates and set tests, when relevant, to assess writing, editing, subbing, SEO, social, digital and IT skills. We only put forward people we believe are a strong fit and we will never clog your inbox with CVs. To discuss a role you are recruiting, please call 020 3417 4060 or submit a brief here. We would love to help. Our client is a leading content marketing agency with offices in London. They are looking for an editor to work on digital and print content for two award-winning accounts. This is a great opportunity – call Penny on 020 3417 4060 to find out more. Our client is one of the oldest banks in the world, and with this heritage comes fantastic opportunities for bright and aspiring individuals. With its Head Office in Hamburg, Germany, and with a strong presence in the financial centres of London, Frankfurt and New York, it is one of Europe’s leading privately-owned banks.